The result of the consultation is the identification of one or two major priorities, and then the generation of a cost-benefit snapshot along with next-step recommendations. 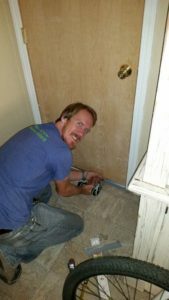 Once recommendations are identified, Groundwork’s advisers continue to help with the improvements process: Groundwork promotes and connects potential recipients to available resources and programs, help with project tips, contractor referrals and rebate assistance for people taking on the work themselves, either DIY or by paying someone else to do it. Separate from our free energy audits, Groundwork Denver also has a fee-for-service program! Contact Elysa@groundworkcolorado.org to learn more.